Knowing a few basic things about headphone frequency response can be very helpful when searching for a new pair of headphones. The ability to read and understand the frequency response and especially the frequency response curve/graph could make your search a lot easier and quicker. Depending on the music genres you prefer and on your personal taste, you will be looking for a different type of a frequency response curve. If you are into bass-heavy music, you will be paying more attention to the bass frequency response and depending on your personal preferences, you will be looking for more accurate, more emphasized, or warmer bass. This article will be centered around bass frequency response and the impact of different bass frequencies on the headphone sound signature. If you keep reading, you will find out a lot about bass and its importance. We will also discuss different music genres that can benefit from a good bass response and we will give you a few tips on what to look for when buying bass headphones depending on your sound preferences. Before we start discussing bass, it’s important to understand the meaning and the importance of frequency response and frequency response curve. In layman’s terms, frequency response tells us what’s the lowest/deepest and highest tone your headphones can reproduce. You will almost always find this info in the specs list written in form of a frequency range (for example 15Hz-25kHz). So, this range tells you that the headphones can go down to 15Hz and up to 25kHz. Unfortunately, these two numbers alone don’t tell you much about the quality of the sound unless they are followed by the deviation (something like +/-3dB or +/-10dB). If there’s no info on the deviation, you won’t have any idea on how accurate the headphones are when it comes to sound reproduction. The deviation value will tell you how close the frequency response is to the flat line (perfectly accurate reproduction of all the frequencies across the spectrum). The flat line or flat frequency response is unachievable, but the manufacturers are trying to get as close as possible. In our previous example, 15Hz-25kHz (+/-3dB) would represent a flatter (more accurate) frequency response than 15Hz-25kHz (+/-10dB). So, these deviation numbers will give you a vague idea on what to expect in terms of sound quality and reproduction accuracy, but you still won’t have the full picture. In this example, the horizontal axis represents the frequency range while the vertical axis gives you the information on the deviation in dBs. Zero value on the vertical axis represents the flat frequency response and the manufacturer’s goal is to make the headphones with as flat frequency response as possible. Ideally, it should be within the +/-3dB range. The smaller the deviation, the flatter the frequency response. In case you don’t know, a human ear can hear the sounds ranging from 20Hz to 25kHz. You may wonder why would you need headphones that can reproduce tones that are lower or higher than something you can hear. The thing is – you can actually feel the difference in sound quality and the amount of detail if the range is wider. Now that you know the meaning and the importance of the frequency response curve, we can concentrate on the bass frequency response. The bass frequencies are the lowest frequencies of the audio spectrum. Depending on the source, you will find different numbers, but it’s probably safe to say that all the tones ranging from 20Hz to 250Hz are considered bass tones. They are responsible for all the rumble, punch, and all the depth and heaviness in your music. Some of the instruments capable of producing low-pitched bass tones are kick drums, electric bass guitar, upright bass, tuba, bass clarinet, bass saxophone, timpani. Also, all kinds of electronic keyboards, as well as some deep male voices, can produce bass frequencies. Based on the effect they have on your music, all the bass frequencies can be divided into three groups – low-bass, mid-bass, and high bass (upper-bass) frequencies. Low-bass frequencies are those ranging from 20Hz to 80Hz. These frequencies are responsible for all the rumble and thump. That’s the kind of bass you can feel in your chest. If the frequency response curve of some headphones is below the target (flat frequency response) for this specific range, it actually means that the headphones lack some real depth and real rumble. If the curve is above the target line, the sound will be perceived as too thunderous. If you prefer more accurate reproduction look for something that’s close to a flat response. Some people (in fact, a lot of them) favor slightly raised low-bass frequency response with just a little bit more rumble. If you are looking for that kind of sound signature, the headphone frequency response curve for the low-bass range should be slightly above the target line (but not more than 3dB). Too much low-bass, as well as too little low-bass, is never good. Frequencies ranging from 80Hz to 150Hz (or even 200Hz) are considered mid-bass frequencies. That’s where the bass harmony, punch, and rhythm come from. If the frequency response curve is well below the targeted flat line (flat frequency response), the sound will lack rhythm (kick, bass guitar, bass synth). If it’s too far above the targeted line, the sound will be too boomy which is also not good, especially when combined with too much low-bass (it will be overpowering). All the frequencies ranging from 150Hz (or, in some cases, 200Hz) to 250Hz are considered the upper-bass frequencies. They don’t affect the bass definition but can add a little bit of warmth to the sound and make it fuller. If the upper-bass is emphasized (the frequency response line is slightly above the target), it will cause the headphones to sound warm and muddy, which doesn’t have to be bad. It all depends on your taste and preferred sound signature. Some manufacturers are actually trying to calibrate their headphones to have this kind of sound signature. This short spectrum of bass frequencies is very important for every kind of listening activity, but it’s not equally important for all of them. For example, if you are going to use your headphones for watching movies, you will need something with a pretty good bass response. Some people would even prefer a little bit emphasized bass that could add just a little bit more rumble to the explosions and other special effects. If you are going to use the headphones for podcasts, the bass response is of secondary importance. The bass frequencies are essential when it comes to music, but even then, different people will prefer different bass styles (balanced and flat, emphasized, or even overemphasized). Still, we can give you one advice – combining bass-heavy music with bassy headphones can be a bit overwhelming and it can ruin your listening experience (too much bass emphasis could overpower a big chunk of midrange frequencies). Generally speaking, every kind of music is driven by the bass. However, some music genres insist on bass more than others. Many contemporary music genres like EDM, dubstep, house, rave, R&B, hip-hop, as well as some pop and rock songs, have bass-heavy arrangements. If you prefer this kind of bass-heavy music, you will benefit from a pair of headphones with great bass response. That way, you will be able to hear the bass parts the way they were meant to sound. Using headphones with too much bass emphasis, could make the sound too boomy and overwhelming and using the headphones with a suppressed bass response, could make the sound thin and hollow. When it comes to bass frequency response, it’s all about finding the balance. Too much, as well as too little bass, is never good. It may sound good for some songs, but if you are looking for the best possible overall performance, you should be looking for the headphones with a relatively neutral/accurate/flat frequency response. Most audiophiles are looking for that kind of frequency response, not only across the bass range but across the whole spectrum. On the other hand, there’s a growing number of people who prefer a bit heavier bass, more emphasis on the rhythm and thump, even if that means a little bit of muddiness in the midrange section. Headphones with a relatively flat/accurate frequency response are hard to make and calibrate and that’s the reason why they are more expensive than other headphones. If you prefer listening to your music the way it was supposed to sound, getting headphones with a relatively flat bass response should be your main goal. You will also benefit from an extended bass response. The fact that you can’t hear anything below 20Hz doesn’t mean that you won’t feel the difference if the headphones can go down to 5Hz and stay within +/-3dB deviation limit. If you are looking for the most accurate frequency response (including bass frequency response), you should check out our list of 10 best planar magnetic headphones and our review of OPPO PM-3 headphones. The problem with the planar magnetic headphones is that they are quite expensive. Even the affordable models like OPPO PM-3 are priced over $500. You can find some models for less than $300, but even that is far from cheap. If you are looking for something cheaper with equally good/accurate bass response, our favorites would be Sennheiser HD 4.50, Marshal Mid ANC, Audio-Technica ATH-M50x, and Beyerdynamic DT 990 PRO. In case you need something very cheap, you should try Superlux HD 681. These headphones deliver surprisingly accurate bass and a very pleasant listening experience at more than affordable price. If you prefer heavier bass, you won’t be impressed by the sound signature of the previously mentioned headphones since they all have pretty neutral bass response. If you need a bit more emphasis on the bass, you should check out our list of 15 best bass headphones in 2019. 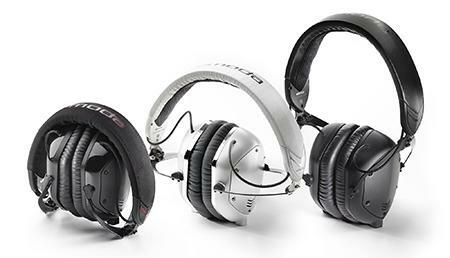 Our favorites when it comes to bass-heavy headphones are Skullcandy Crusher (all the bass frequencies moderately emphasized), Plantronics BackBeat Pro 2 (big emphasis on the low-bass frequencies), and Sony MDR-XB950B1 (huge emphasis on all the bass frequencies). If you need a budget option, try Superlux HD 681 EVO. The bass frequency response is very important, but it’s not the only part of the frequency spectrum that matters. Getting the bass response that suits your taste should not be your only goal. The bass means nothing without the mids and highs. If you don’t want to waste your money, you will have to look at the frequency response curve as a whole – too much emphasis on some frequencies or lack of certain frequencies could lead to disappointing results (muffled vocals and low midrange, unfocused and boring mids, too much sibilance, too sharp and painful highs, etc. ).